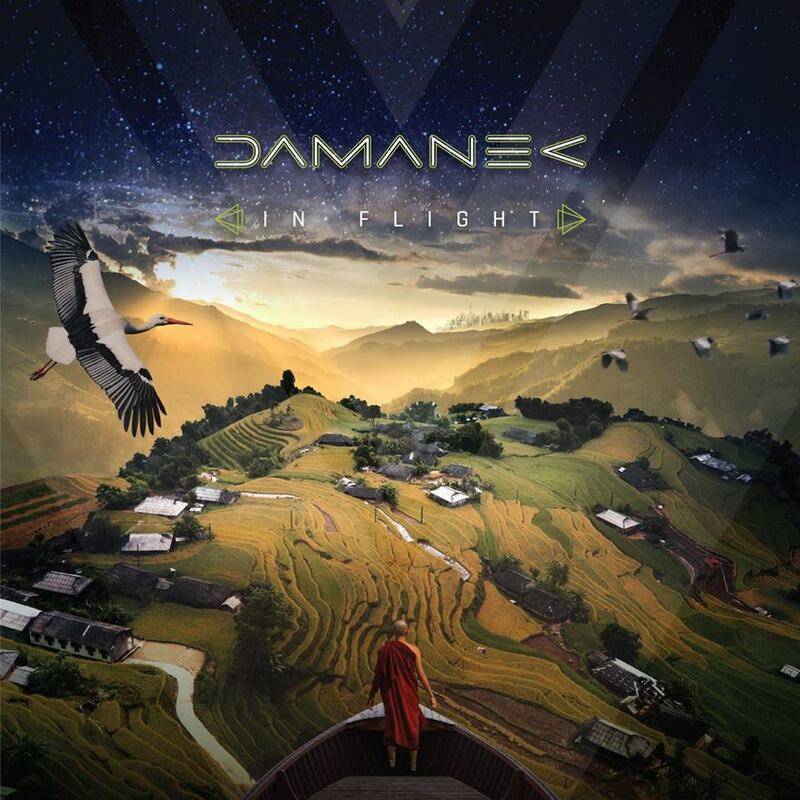 DAMANEK to Release New Album “In Flight ” 5th October 2018. We are so excited about this new album which is somewhat darker than “On Track” and features a three part epic suite called “Big Eastern”. with our guests Luke Machin, Brody Green, Antonio Vittozzi, Tzan Niko, Raf Azaria, DavidB, Julie King, Kev Currie & the Gospo Collective and Jones Commentary choir. The Damanek Web site will be updated as the album is released with pages for each song, the lyrics, the players plus some insights into what the piece is about and background information. But why wait…you can pre-order the album right NOW!! Damanek, featuring members from three different nations, is the brainchild of visionary multi-instrumentalist / singer-songwriter Guy Manning. The group released their debut album ‘On Track’ in early 2017 to critical acclaim appearing in many ‘Best album of 2017’ polls and will release their follow-up album ‘In Flight’ on the 5th October this year through GEP Records. Southern Empire, hailing from Adelaide, South Australia have just released their second album “Civilisation” through GEP. We are happy to report that it is getting some fantastic reviews in its first few weeks! Led by composer / producer / keyboardist Sean Timms, Southern Empire was formed from the ashes of symphonic prog. band Unitopia in 2014 and have quickly established themselves as one of the premiere live and studio acts of the current prog. era. “It’s always extremely exciting to release a new album and then take those songs on the road. I think we have a very strong set of new songs to compliment the older material and we’re really looking forward to bringing our unique blend of ‘prog ’n’ roll’ (as Danny Lopresto, our lead vocalist calls it) to our friends and fans in the U.K. and Europe.” – Sean Timms. For the European leg of the tour, Damanek and Southern Empire will be joined by special guests / friends Seven Steps to the Green Door. “It’s great to be back on stage with Damanek 2 years after our first set at Summers End festival and promoting a brand new album. For the European dates of the tour, my mates in “Seven Steps to the Green Door” will join in for a triple bill of great songs from all the current albums and from our forthcoming new album THE?LIE, which will be released right in time for the tour! – Marek Arnold. Wed 21/11/18 – Bergkeller, Reichenbach, Germany. Thu 22/11/18 – Spirit of 66, Verviers, Belgium. Sat 24/11/18 – De Boerderij, Zoetermeer, The Netherlands. Tue 27/11/18 – The Vic, Swindon, U.K.